Despite its name, there is little evidence to suggest that the figure represented is the biblical Daniel. The animal to the left, which appears about to devour the human figure may or may not be a lion, and could also be interpreted as a wolf. Two of the other animals on the stone, above and below the central figures, are clearly not lions. To the right is the muzzle of creature which may mirror the ‘lion’ figure. It is possible that the fragment is Christian, perhaps representing a tormented soul. 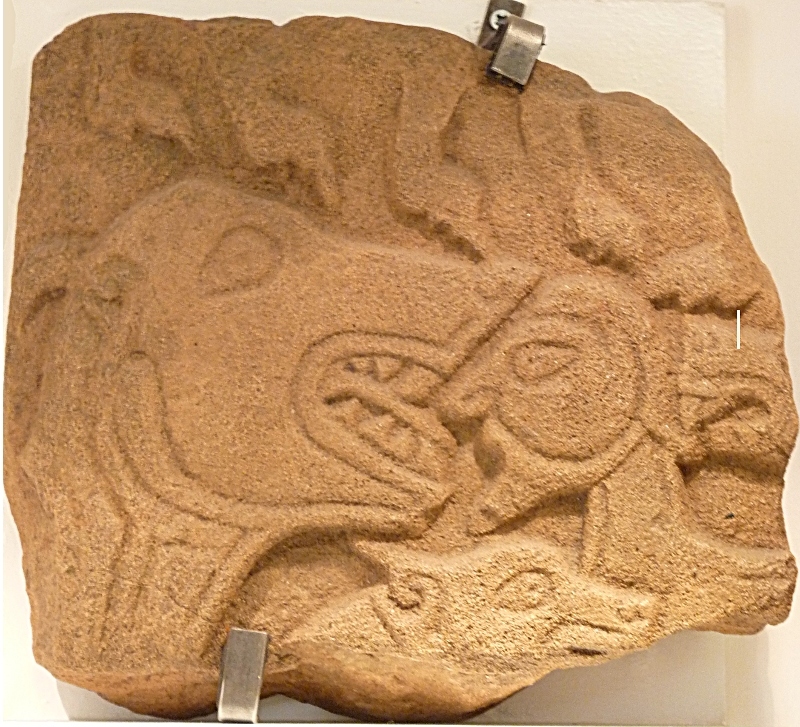 A more likely candidate for a Pictish ‘Daniel’ can be found on the Christian Pictish Meigle 1 stone, where a figure is surrounded by four lions. The fragment is difficult to date, but would be within the likely range 8th-9th centuries. Posted on October 27, 2011, in Pictish History. Bookmark the permalink. 2 Comments. It has very tiny ears for a wolf. Maybe it’s a bear? If it were a Cave Bear, that would make the size comparison to the man about right.